In 2013, I went to see the Rolling Stones concert in Hyde Park. 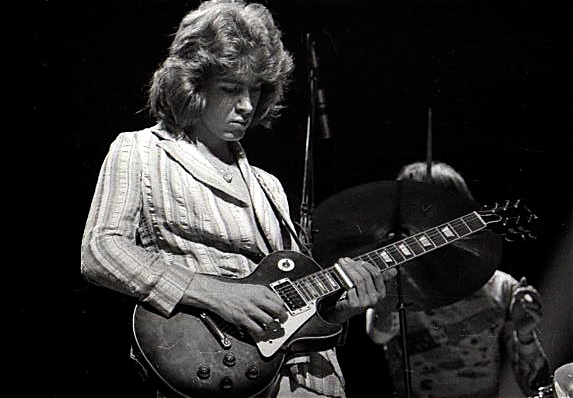 About half-way through, a surprise guest appeared on stage: Mick Taylor, who used to be their guitarist between 1969 and 1974. Taylor received a warm welcome, but also a fair share of snarky comments and mockery on social media afterwards. Commenters did not fail to notice that the musician had not aged well (see then and now). 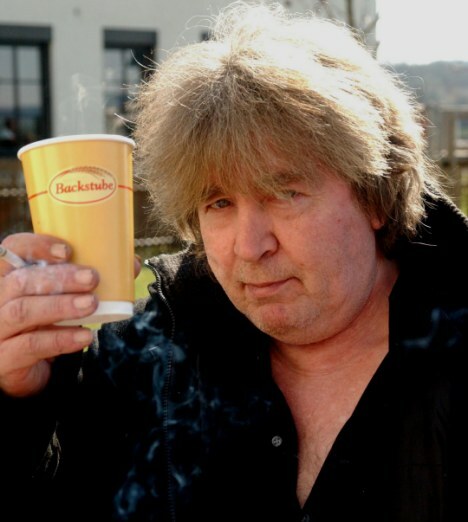 Ageing rock stars often have to put up with this sort of mockery. The ones who die young – like Jim Morrison or Kurt Cobain – become icons, forever remembered the way they were in their prime. They never get fat, they never go bald, and they do not reach that stage when they start rambling about esoteric nonsense. What is true of rock stars is true – perhaps even truer – for socialist experiments and socialist revolutionaries. Socialism never ages well. In their early stages, socialist experiments are usually glorified by Western intellectuals. The Soviet Union and Maoist China certainly were; on a smaller scale, so was North Korea, and more recently, so was Venezuela. But sooner or later, those experiments always become an embarrassment for their Western supporters, who then retroactively disown them (“that wasn’t real socialism!”). You could write a whole book about that (which, as it happens, is what I am in the process of doing). The only exceptions are the very short-lived experiments, such as the Paris Commune, the socialist/anarchist-controlled territories during the Spanish Civil War, and, of course, Salvador Allende’s Unidad Popular government in Chile 1970-73. Those are the Jim Morrisons of socialism. They ended before they could turn into embarrassments. The Chilean experiment occupies a special place in left-wing mythology. The conventional wisdom goes something like this: after decades of post-colonial exploitation and injustice, the Chilean people elected a Marxist government, which embarked on a project of building a fairer society. The US was so afraid that this experiment would work, and prove the superiority of socialism, that they supported a military coup, ousting Allende, and establishing a brutal dictatorship wedded to neoliberal economics. See? It’s not that socialism doesn’t work, it’s that it’s not allowed to work, because it would become a beacon of hope for those suffering under capitalism. The reality is somewhat different. Allende’s Chile was not quite the People’s Paradise in the making it is usually cracked up to be. It was more like Chavez’s Venezuela without the oil. Had it been allowed to go on for a little longer, it would soon have become an economic basket case, and it would have descended into authoritarianism. This is not idle speculation. Just look at where Chile was already heading, and extrapolate a little bit. Allende adopted extremely expansive fiscal and monetary policies. This created a flash in the pan, i.e. a one-off growth spurt in 1971, followed by two years of economic contraction. The inflation rate shot up from under 30 per cent to over 500 per cent (and probably effectively even more, given that price controls concealed the true rate). The budget deficit shot up from around zero to 23 per cent of GDP; for comparison, the Greek deficit peaked at 15 per cent during the eurozone crisis. Quite an achievement in such a short period. But this is not even the worst part. Yes, Allende was democratically elected – but he headed a minority government, which the opposition parties had agreed to tolerate under the condition that Allende respect the country’s constitution. He did not. He soon started violating the constitution by randomly confiscating private property. In this respect, the descent into authoritarianism was already well under way. And it would not have stopped there. Allende’s measures, unsurprisingly, provoked resistance from business owners and even the trade unions in some of the worst affected sectors. And like in Venezuela more recently, price controls led to (surprise, surprise) shortages. The combined result was “violence in the streets (almost on a Belfast scale)”, as The Economist reported at the time, also pointing out that “the government tolerated the growth of armed groups on the far-left that were openly preparing for civil war”. Imagine if the economic crisis had gone on for longer. How do socialists usually respond in such a situation? Why, they double down, of course. They blame imaginary saboteurs, wreckers, hoarders and speculators, and suppress their opponents. Allende might never have matched Pinochet’s brutality, but the saintly image he enjoyed in the West would not have been sustained. For the record: While I broadly approve of the Chicago Boys’ economic policies, I have never tried to downplay or relativise, let alone make excuses for the human rights abuses of Pinochet’s junta. These are obviously inexcusable, and no amount of economic success can compensate for them. But if I were a Western leftist, I would be secretly grateful that the coup happened, and not a minute later. It saved the Western Left from a lot of embarrassment, and gave them an immortal legend instead. Rock stars sometimes age well. Socialist experiments never do.